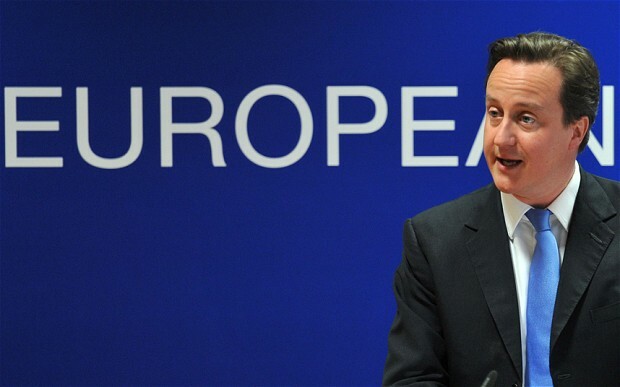 David Cameron has seen his stance over the EU come under fire yet again, this time by business leaders. A letter in the Financial Times, which includes such signatories as Sir Richard Branson (chairman of the Virgin Group) and Chris Gibson-Smith (London Stock Exchange chairman), has been sent ahead of Cameron’s speech in the Netherlands later this month in which he plans to renegotiate Britain’s terms of membership. The renegotiated terms would then be put to a referendum during the next parliament. Cameron is being very guarded as to what powers he wishes to see repatriated, although he has said that he wants the UK to stay in the EU. In the past he has made noises suggesting he may veto agreements he is not satisfied with, suggesting a strict line of negotiation that will not go down well with France and Germany, but one that is in keeping with his increasingly eurosceptic stance. Ireland, traditionally an ally, shares the trepidations of France and Germany. Eamon Gilmore, Ireland’s deputy prime minister, has told Cameron to not be too adversarial in negotiations with the EU, of which Ireland will be president for the next six months. With the eurosceptic nightmare threatening to wreak more havoc on the Tories (complete with positive poll data for UKIP) and a few bad days in the relationship between the prime minister and business, the new year for Cameron is proving to be anything but a happy one.